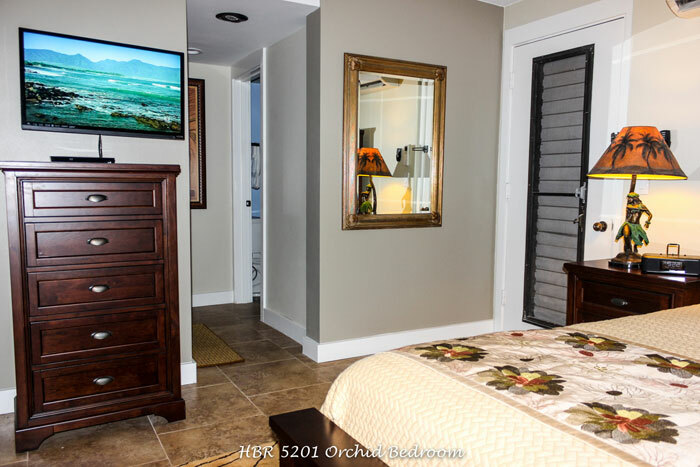 Hanalei Bay Resort 5201 Orchid is an air conditioned one-bedroom studio and has been completely remodeled with all new furnishings, appliances, lighting, 20” ceramic tile, new art, and has a king size bed with new Perfect Sleeper firm plush mattress and a twin sofa sleeper.End tables have built-in USB and electrical charging stations. 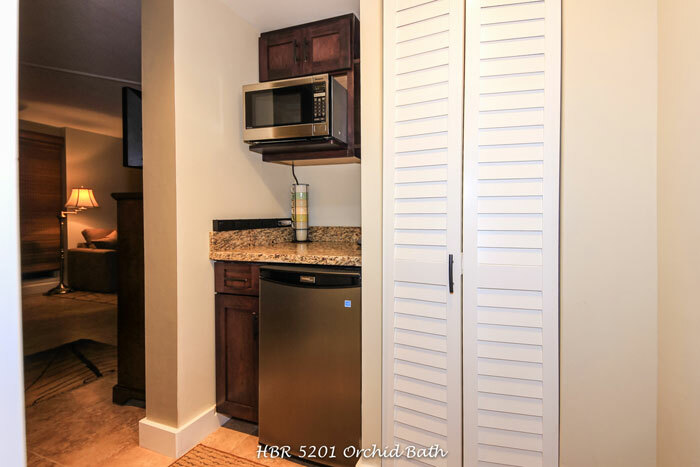 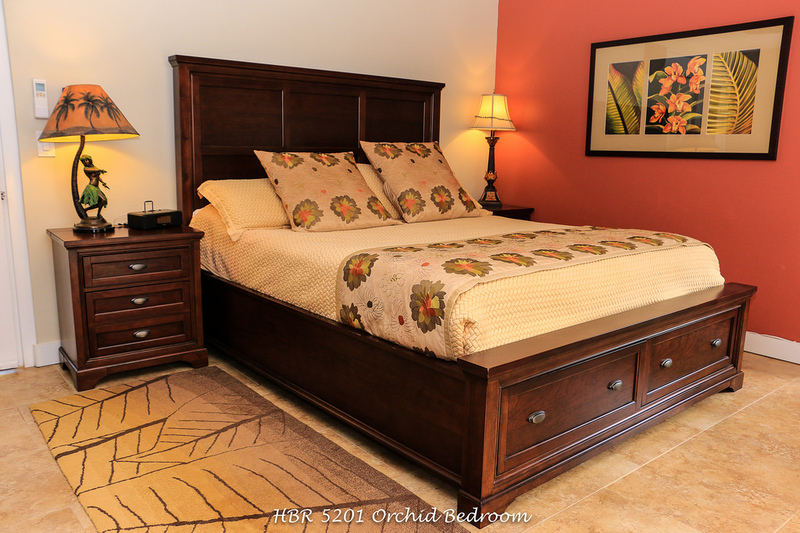 Ceiling fans, wall mounted HDTV, and kitchenette with granite counters, built-in fridge and coffee maker. 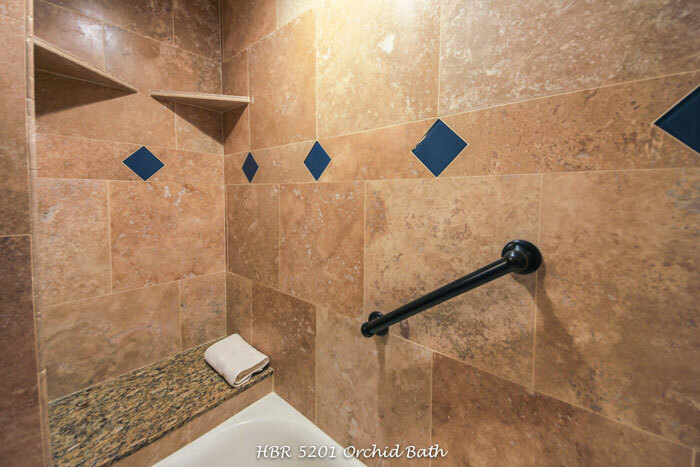 The bathroom also has granite counter tops, a custom travertine bath with ADA hand rail, low-flush soft-close toilet, and vessel sink. 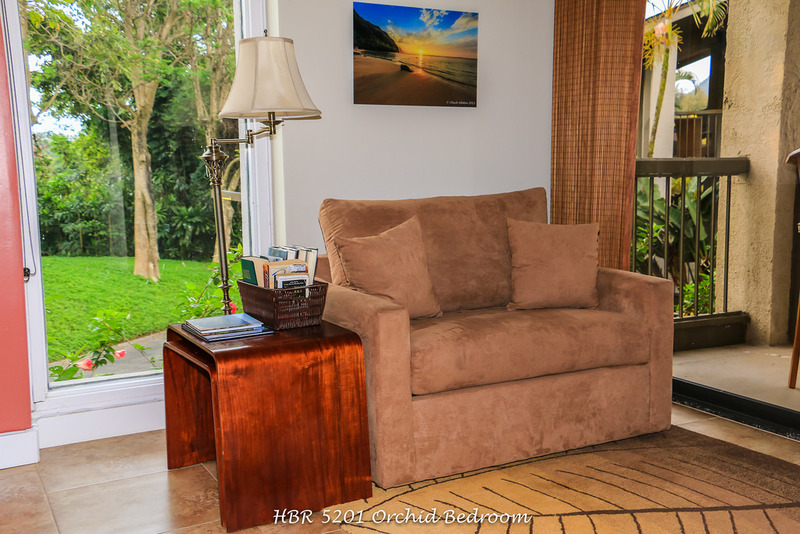 The condo includes free cable HDTV, DVD, and free wireless internet. 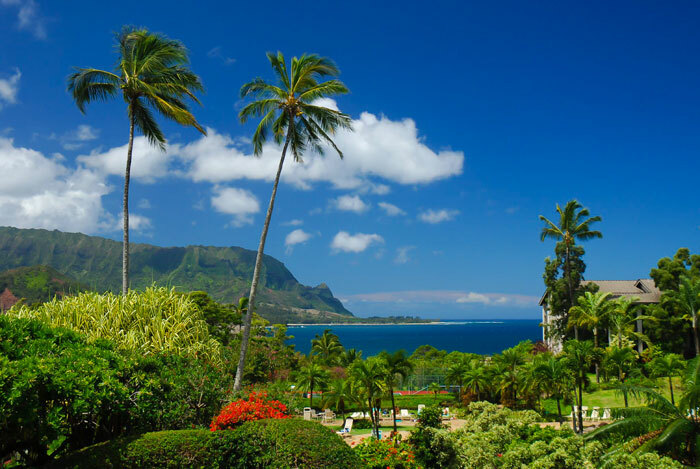 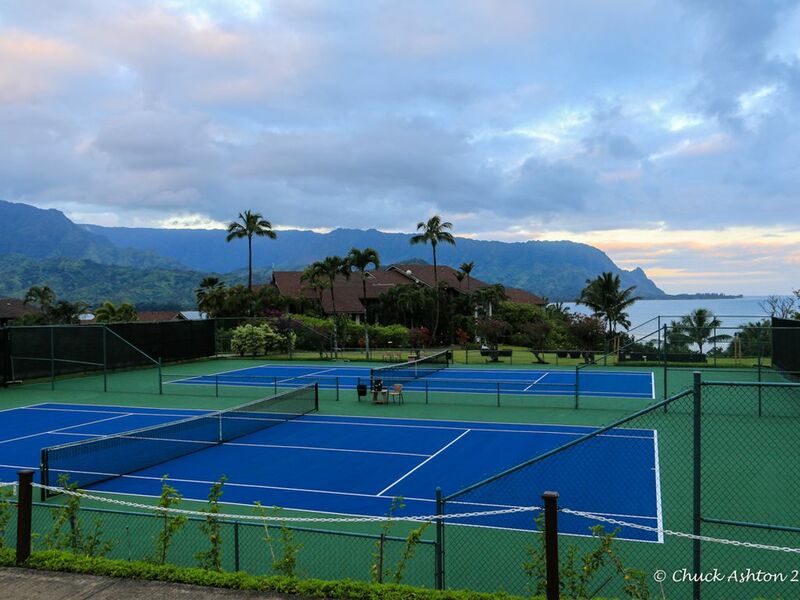 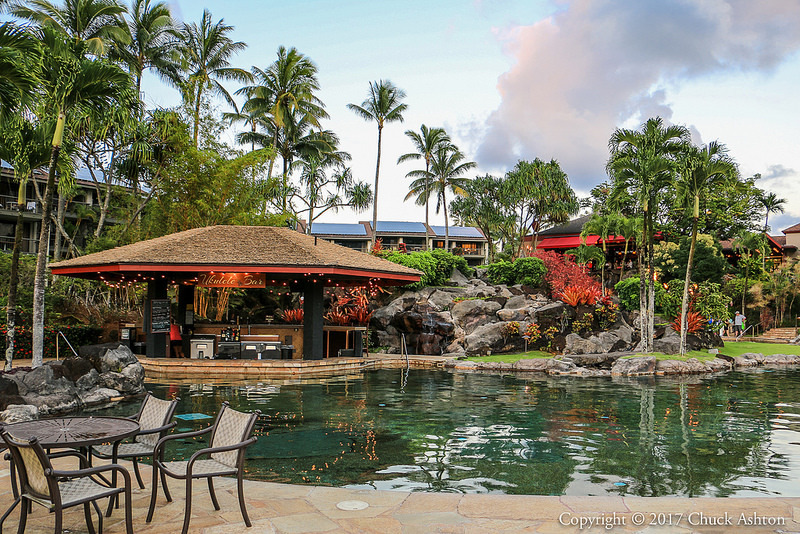 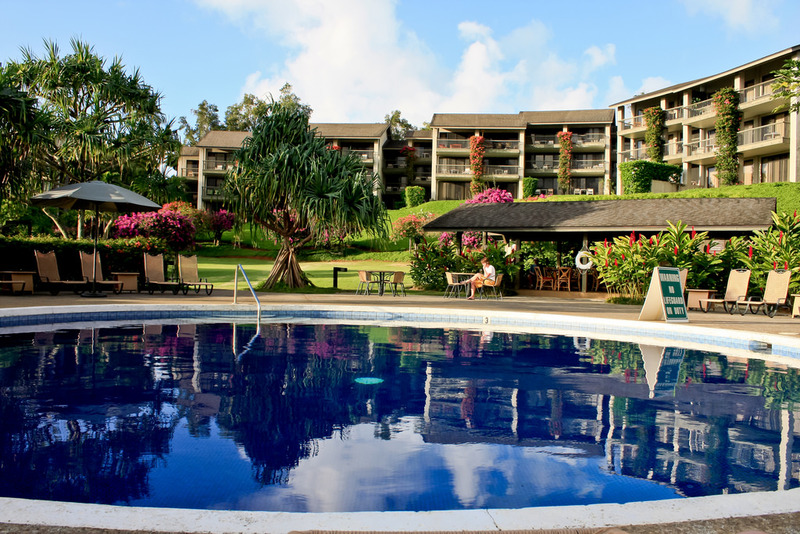 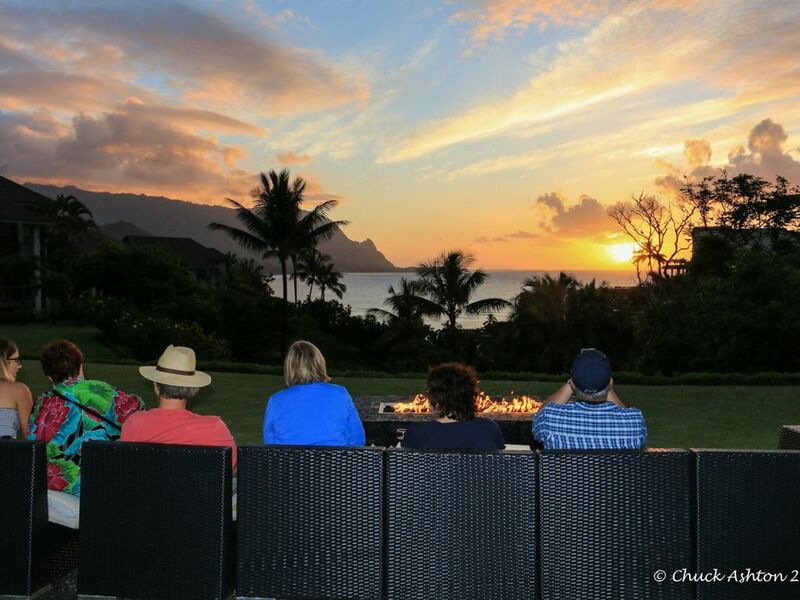 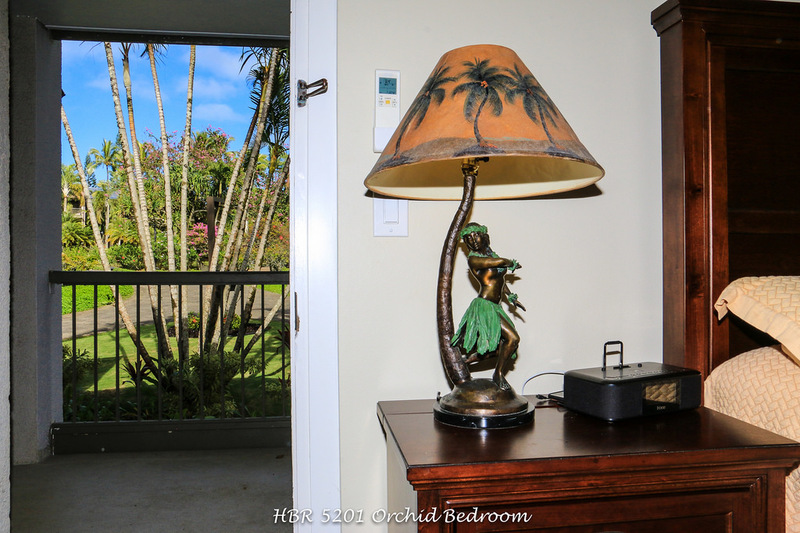 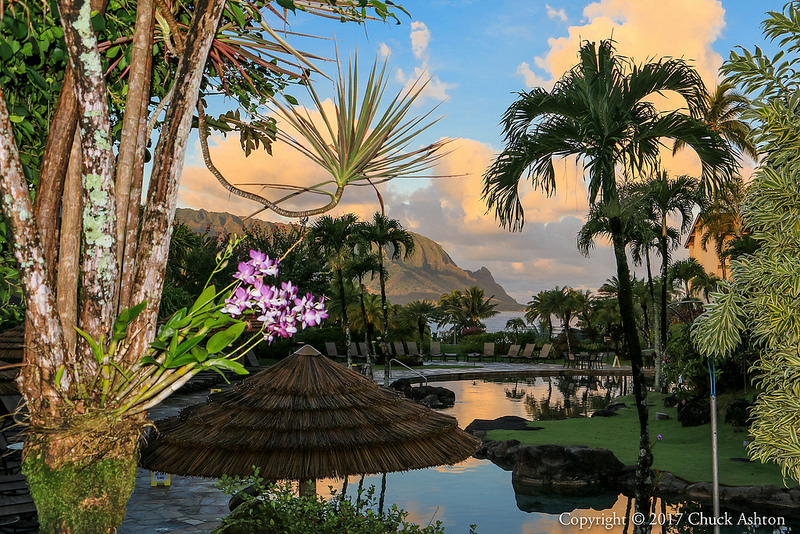 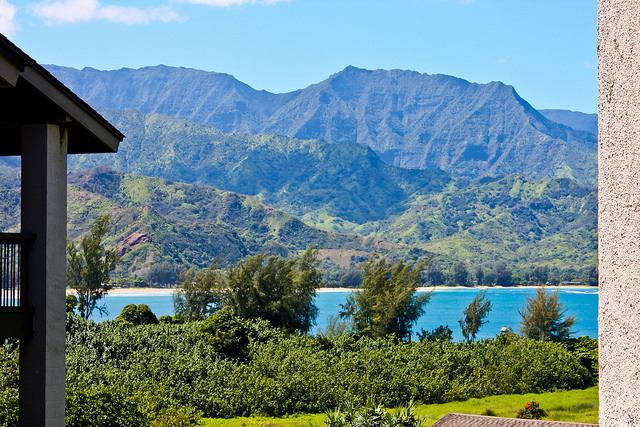 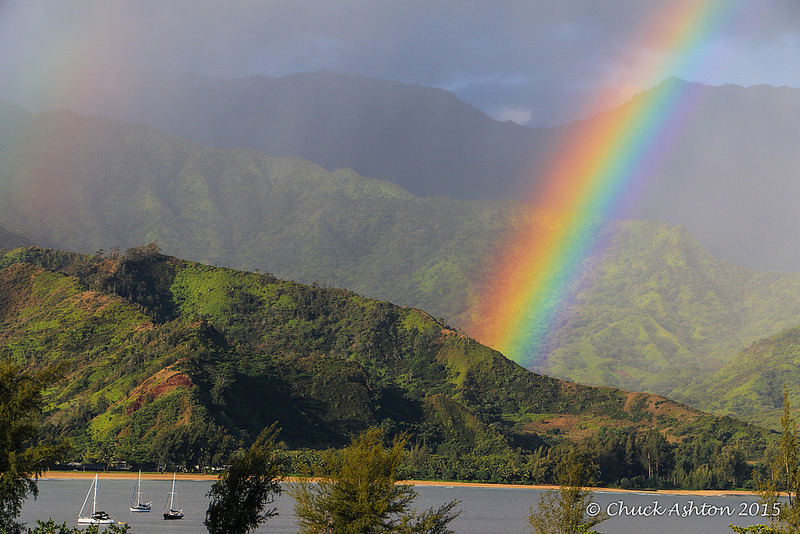 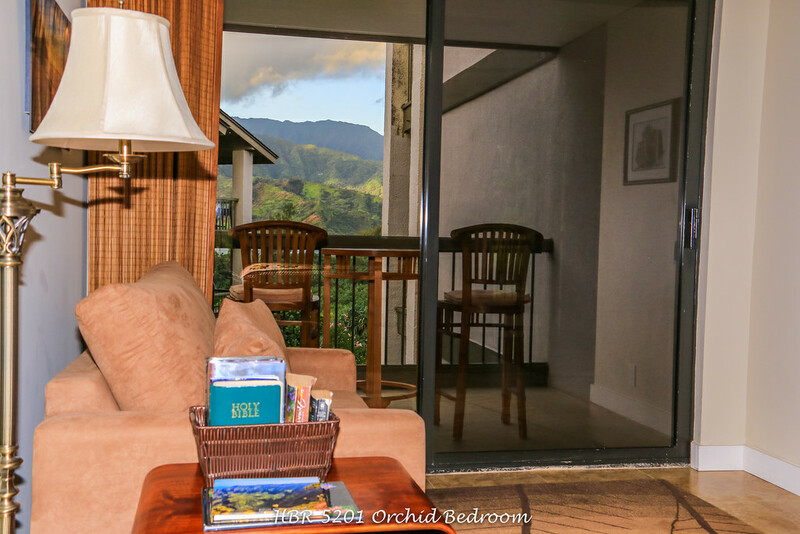 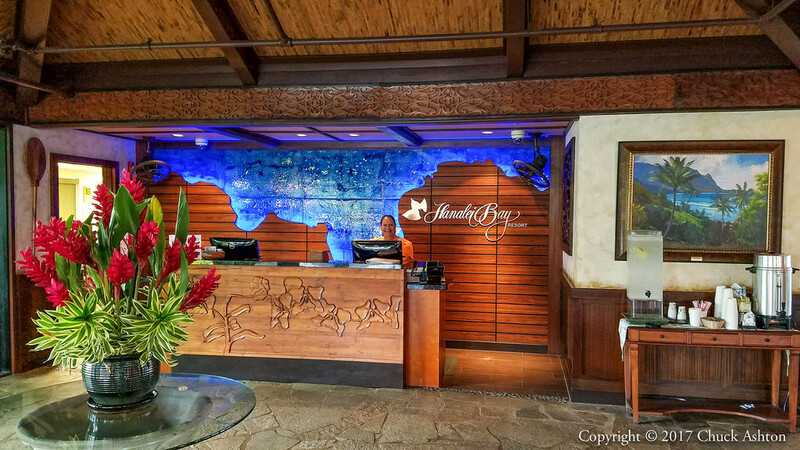 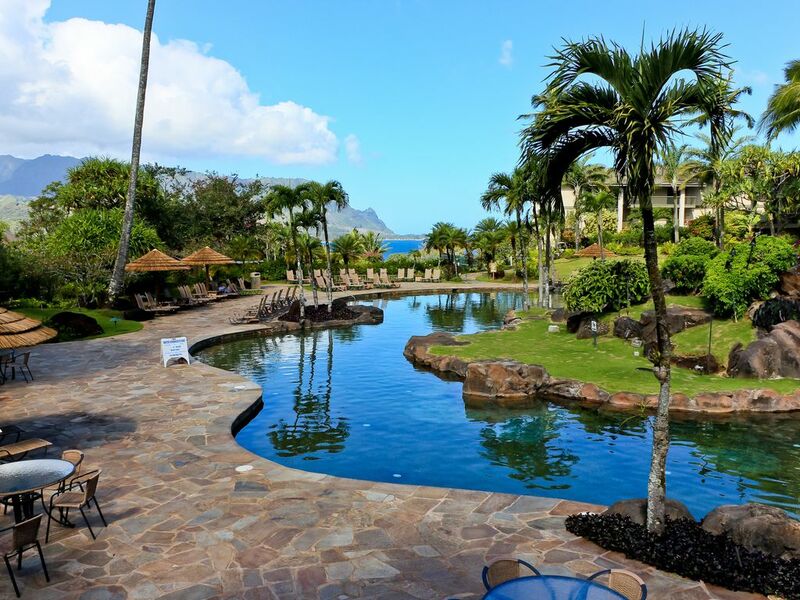 The private lanai overlooks the second pool, the north shore mountains, and beautiful Hanalei Bay. 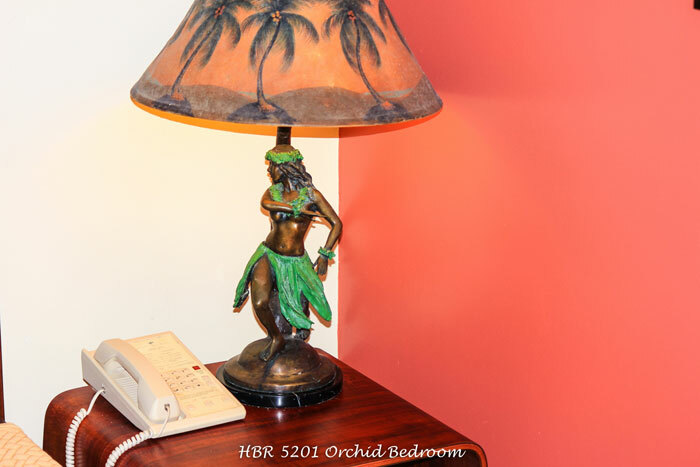 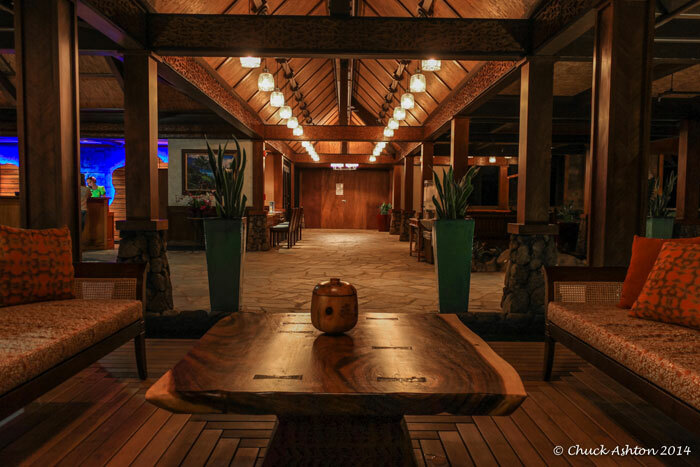 The condo is located on the second floor of the Hala Building, which is a prime location in the Resort. 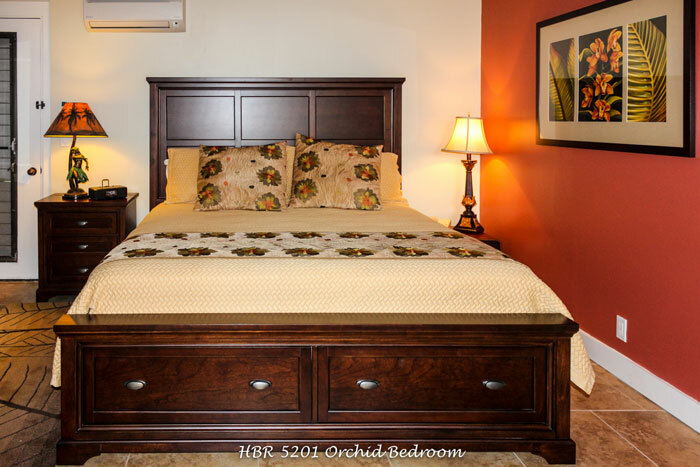 HBR 5201 can be combined with HBR 5202 to create a 2 bedroom condo.